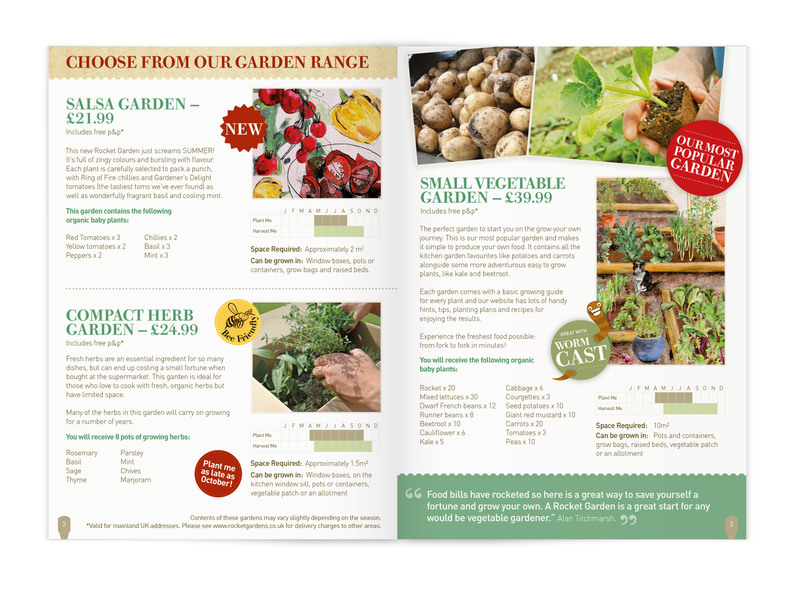 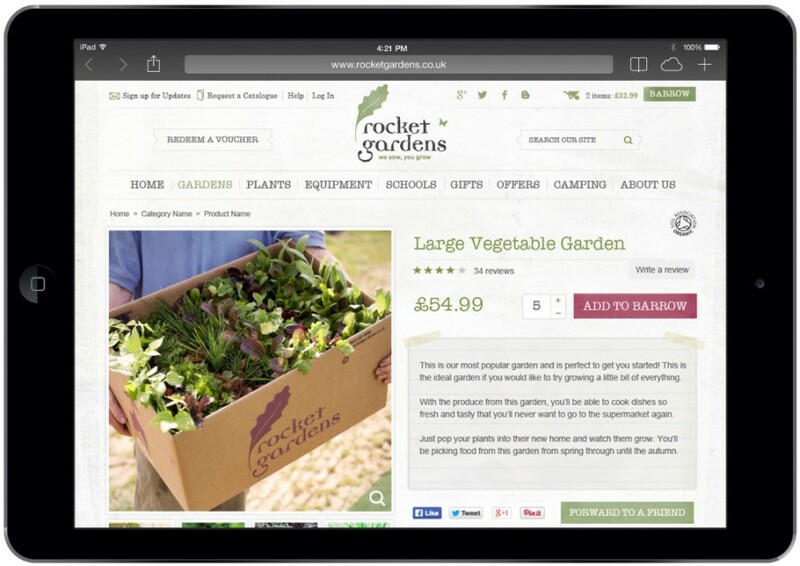 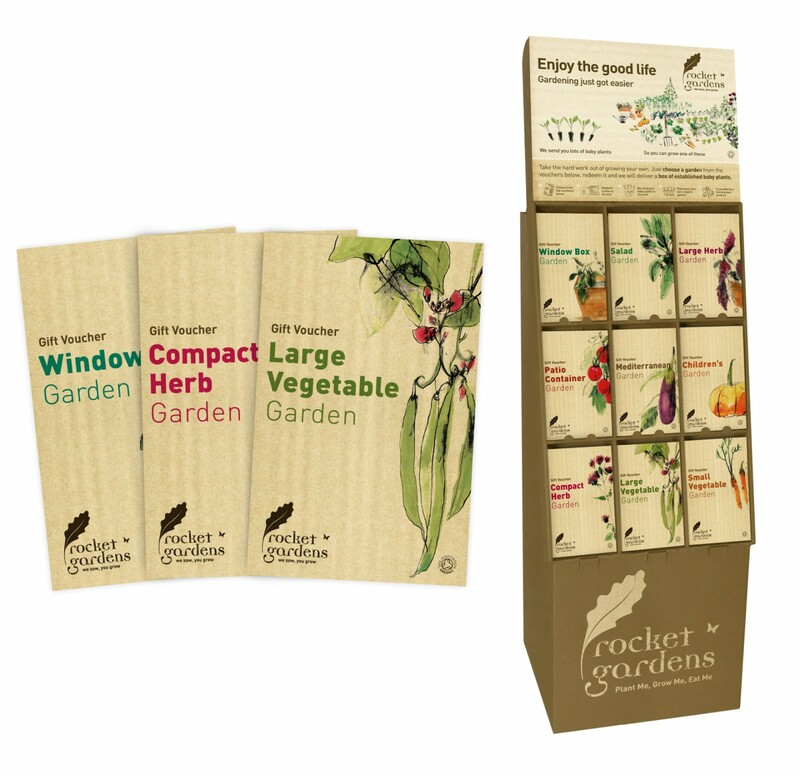 Rocket Gardens supply a wide range of instant gardens by post, including fruit and vegetable boxes for every garden size. 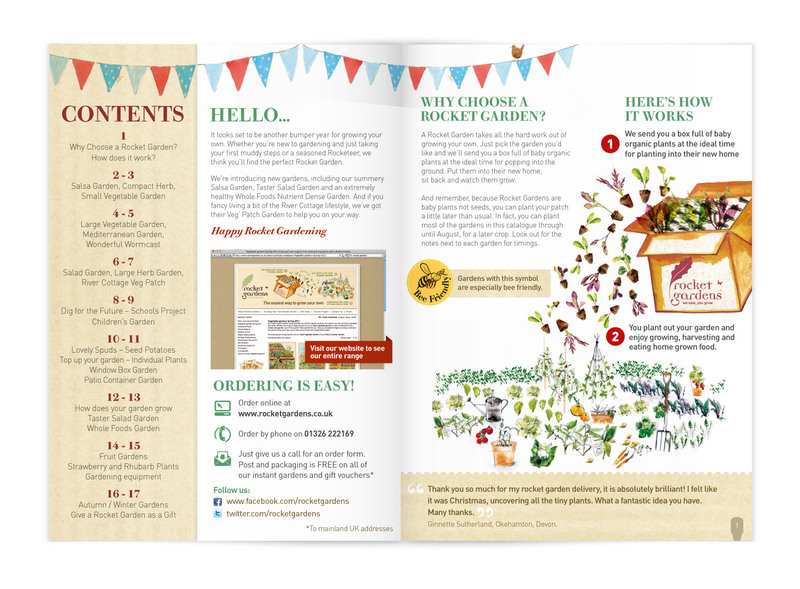 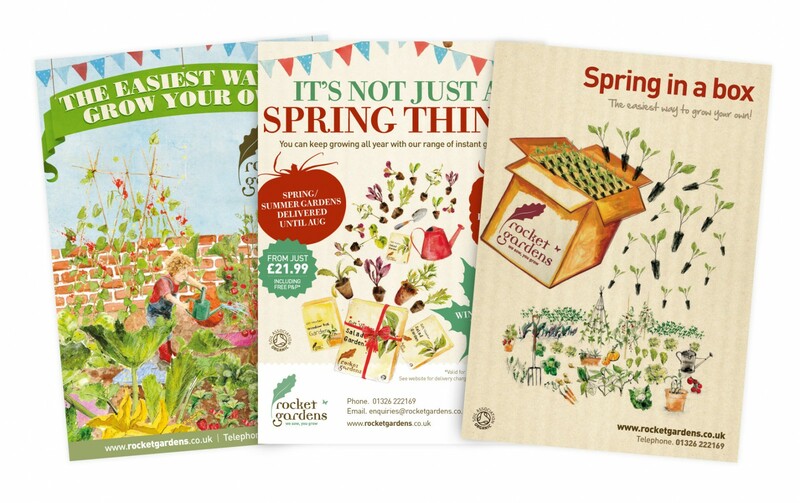 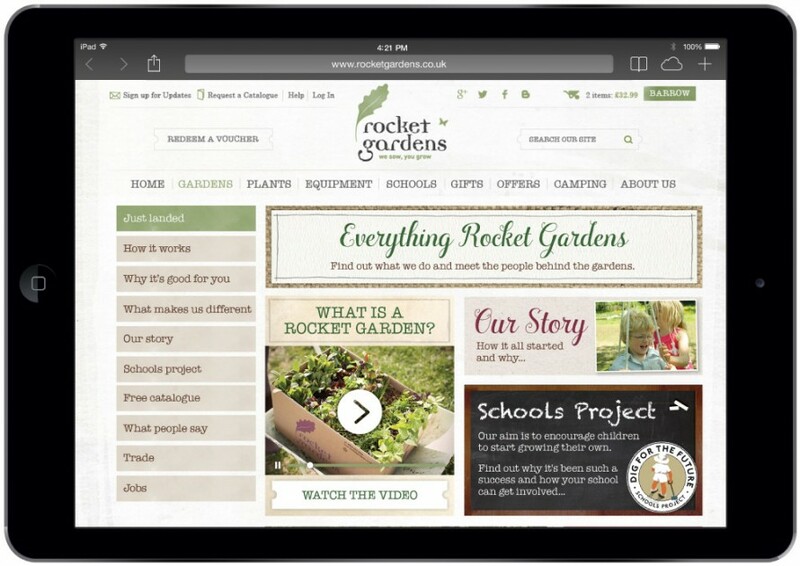 We started working with Rocket Gardens in 2009 and have designed everything from product catalogs to gift voucher packaging and point of sale displays. 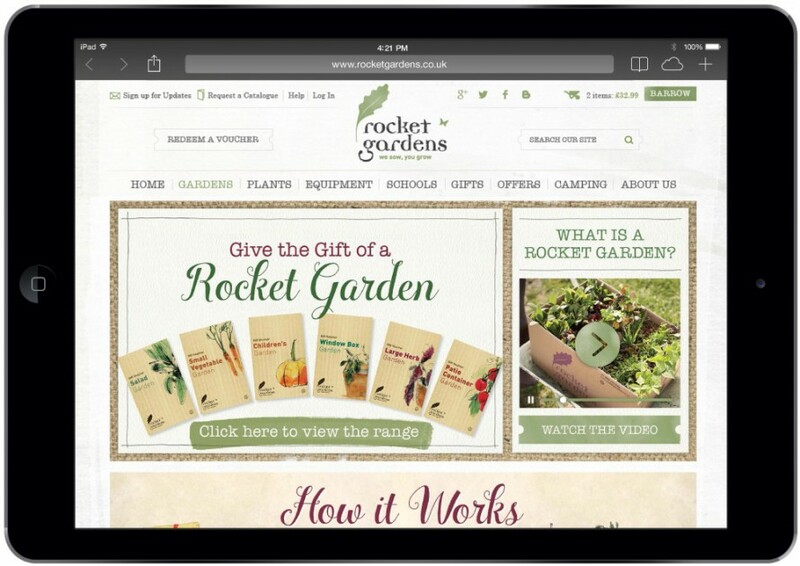 Below are some design examples we’ve worked on, including their new mobile friendly e-commerce website we launched in February 2016.